Cockspur Window Handles - DGS Group Plc. These suited cockspur handles are available for both left hand and right hand operations and come in a full selection of finishes which includes Gold (PVD), Chrome and Traditional White. Spare keys and screw cover caps available. Ergonomic stylish design and improved aesthetics. 3 locking nib height options 9mm, 15.5mm and 21mm. 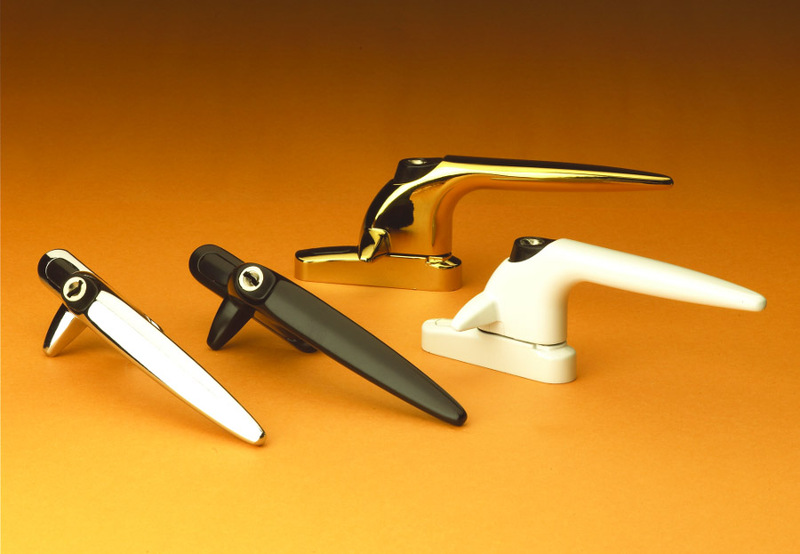 Available in a full choice of finishes including Gold, Polished Chrome and White. Corrosion resistance to BS EN 1670. Spare keys and screw cover caps available.Cycle tested 25,000 cycles under operational load. Zinc Alloy cast components – ZL2. 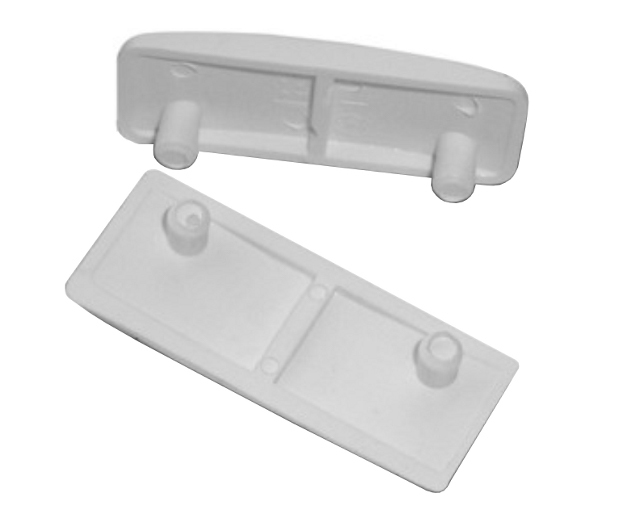 Plastic parts – Nylon 66, UV stabilised ABS and ACETAL. Available in Black (BK), Brown (BN) and White (WH).